Frazee Gardens is one of my favorite places in Brownsburg. This spring, my husband and I went to the garden center and got some rose bushes and a beautiful dappled willow tree to plant in our garden. In the fall, I got some pumpkins and yellow mums to decorate our front porch. While I love going to Frazee Gardens during the warmer months, Frazee has a lot to offer during the winter months, too. In December, Frazee Gardens sells pre-cut Christmas Trees. 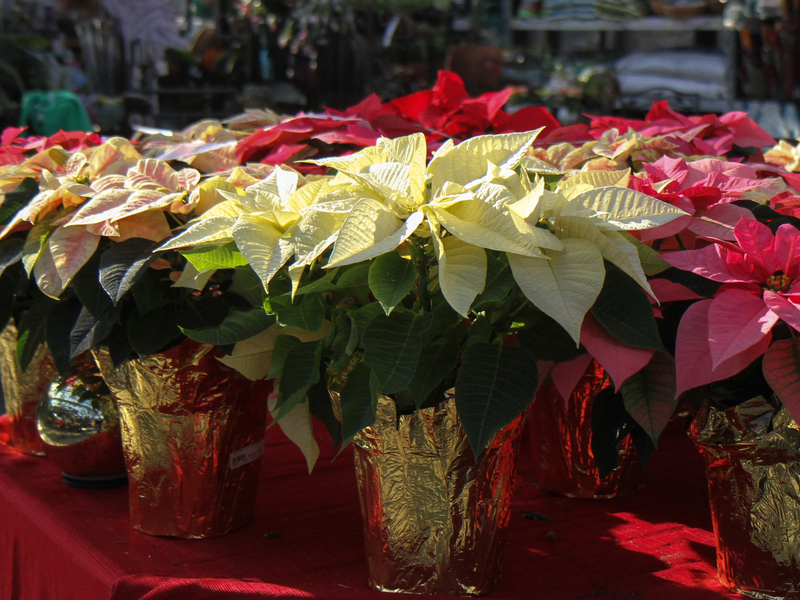 They also have beautiful poinsettias for sale, and they make gorgeous winter floral arrangements that would make great Christmas gifts for the host of a dinner party or a co-worker. Frazee Gardens also has a great selection of succulents during the winter months. If you&apos;re looking for some holiday decorations or a last-minute Christmas gift, the gift shop at Frazee Gardens is packed full of beautiful, unique items. Frazee even has a consignment section for local artists. Check their Facebook page for details about upcoming sales. The shop is planning to have a sale Dec. 26-31, when some items will be up to 50 percent off. The shop also periodically has a section of items that are 75 percent off. Frazee Gardens has many events planned over the next few months. This Thursday it will host a painting workshop to paint Rudolph on a wooden sign (pictured above). The workshop is at 6:30 p.m. and costs $35 per person. Register by calling Frazee Gardens at (317) 858-8440. Check the Frazee Gardens Facebook page for upcoming Purple Pallete events, when participants can paint a small painting for $15. The Purple Pallete events are geared toward children, but anyone can participate. The events last about an hour and a half. Frazee Gardens is planning a girls night out called "Alice in Frazeeland" on Feb. 11. Owner Lisa Frazee said she is also planning a fairy garden workshop, but has not set a date yet. Check their Facebook page for details. You won&apos;t want to leave the children at home while visiting this store. 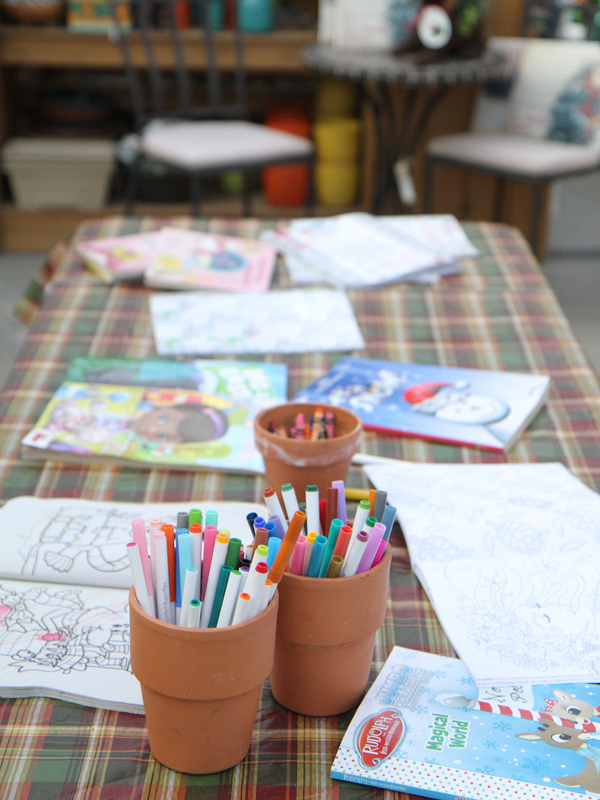 Frazee Gardens currently has coloring books set out for children, as well as a bird feeder making station. And of course, children love the free popcorn available inside. From January to March, Frazee Gardens is open from 10 a.m.-6 p.m. Thursdays and Fridays and 10 a.m.-4 p.m. on Saturdays. Frazee also will be open until 3 p.m. Christmas Eve and New Year&apos;s Eve. Frazee Gardens is also a member of the Rural Routes to Main Street Cultural Trail if you are looking to extend your stay in Hendricks County or are looking for more unique shops in the area.